When you store your goods with Welshpool Self Storage, you can rest assured they’ll be secure. Our units are constructed with brick and have concrete floors, while our sturdy roller doors provide access only to the unit holder. A variety of locks are also available for purchase from our centre office, including combination locks. Only one person holds the key to your storage unit – and that’s you! 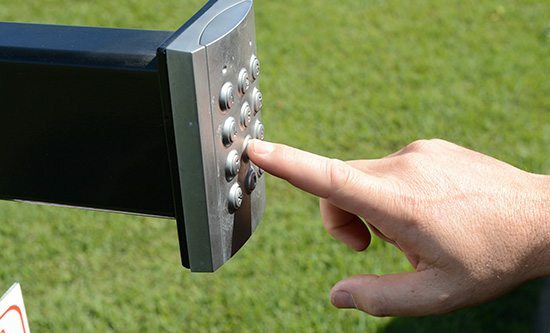 In order to access your storage unit, you must first enter our site via boom gates, which are controlled by your own personal PIN code. You're the only person with authority to access your storage unit, therefore third parties can only access your site if you give them your PIN code. At Welshpool Self Storage, security is our number one priority. That’s why unauthorised personnel are not permitted to enter the site, beyond the front office. Our site features robust high perimeter security fencing, security gates and security beams, and our site is monitored via security cameras 24 hours a day, 7 days a week.